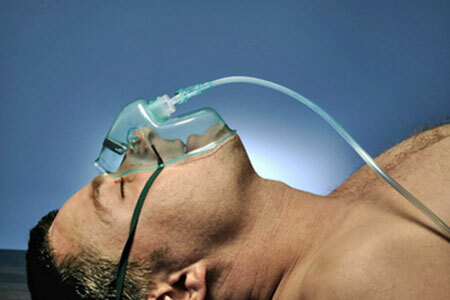 With anesthetics properly given, very few patients wake up during surgery. However, new findings point to the possibility of a state of mind in which a patient is neither fully conscious nor unconscious, experts say. This possible third state of consciousness, may be a state in which patients can respond to a command, but are not disturbed by pain or the surgery, according to Dr. Jaideep Pandit, anesthetist at St John's College in England, who discussed the idea today (Sept. 19) at The Annual Congress of the Association of Anaesthetists of Great Britain and Ireland. Pandit dubbed this state dysanaesthesia, and said the evidence that it exists comes partly from a recent study, in which 34 surgical patients were anesthetized, and had their whole body paralyzed except for their forearm, allowing them to move their fingers in response to commands or to signify if they are awake or in pain during surgery. One-third of patients in the study moved their finger if they were asked to, even though they were under what seemed to be adequate anesthesia, according to the study led by Dr. Ian F. Russell, of Hull Royal Infirmary in England, and published Sept. 12 in the journal Anaesthesia. "What's more remarkable is that they only move their fingers if they are asked. None of the patients spontaneously responded to the surgery. They are presumably not in pain," said Pandit, who wrote an editorial about the study. Normally, while patients are under anesthesia, doctors continuously monitor them, and administer anesthetic drugs as needed. The goal is to ensure the patient has received adequate medication to remain deeply unconscious during surgery. However, it is debated how reliable the technologies used during surgery to "measure" unconsciousness are. "We don't have a model for consciousness," Pandit said. "It is very difficult to design a monitor, to monitor something you don't have a model for." The study of 34 patients was aimed at investigating whether patients are fully unconscious when the monitoring technology commonly used in the operating rooms indicates so. The researchers kept patients' arms separated from rest of the body, which was receiving routine paralyzing drugs, by blocking the blood supply. Patients were able to move their arm if they were still conscious. In the patients who responded to the doctor's command by moving their hand, the doctors took it as a sign of consciousness, and increased the anesthetic dose. However, Pandit argues these patients were not "conscious." The fact that patients only responded to command, and didn't move spontaneously shows their state of mind is different from normal consciousness, he said. The idea of a third state of consciousness may explain the discrepancies in the reported prevalence of awareness during surgery, Pandit said. Previous surveys have shown that when patients are asked if they recalled being aware during surgery, about 1 in 500 will say they did. In contrast, a recent national survey in the United Kingdom, in which patients were not directly asked about awareness during surgery, 1 in 15,000 patients spontaneously reported they were aware during their surgery. Only 1 in 45,000 reported pain or distress during their surgery. Together, these statistics suggest there's a state in which patients are aware but not reporting it, perhaps because it is an acceptable and neutral experience for them, Pandit said. They may be aware of their surroundings to some extent, but not concerned by this knowledge, especially because they are not in pain. Pandit's hypothesis may serve as basis for developing anesthesia monitors in the future, he said. Although the state of dysanaesthesia seems harmless, it could be a precursor to unpleasant awareness during surgery that doctors, and patients, wish to avoid. "It's a hypothesis for future research, it's something that we can explore further and design experiment to see if it really exist," he said.